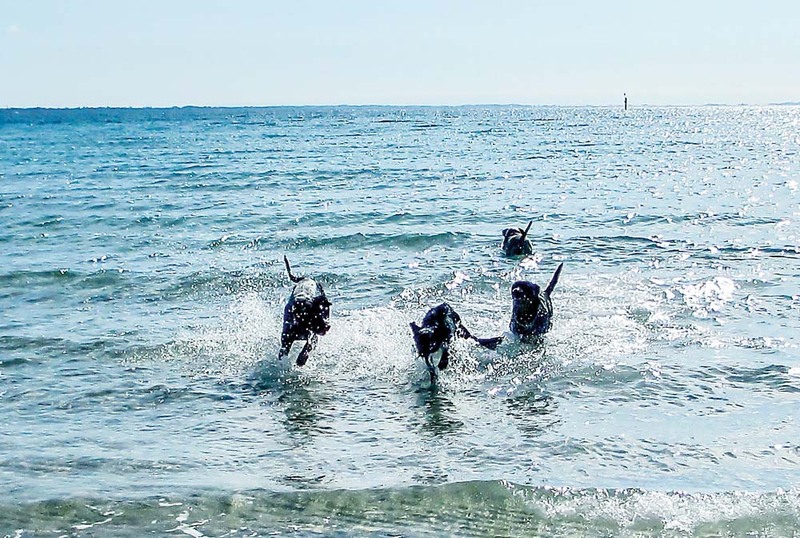 Running free: A group of dogs playing on the leash-free beach at Safety Beach. Mornington Peninsula Shire’s rangers have been using “conflicting” laws for the past eight years when issuing infringement notices to dog owners. The “discrepancy” was revealed only after “a diligent search of council records”. To clean up its legal blunder council was last month forced to revoke an order gazetted on 11 February 2010. Prosecution officer Gustav Cook, in a report to council’s 9 October meeting, said that despite the “absolutely irreconcilable” orders made under the Domestic Animals Act and adopted in 2007 and 2010, all infringement notices issued under them “remain valid and enforceable”. “Important to note, is that both of the orders are valid, though inconsistent,” Mr Cook stated in his report. The problems with the conflicting dog rules were unearthed during a review of the shire’s leash-free areas. One of the problems (revealed by The News and not the shire’s review “Dogs cleared to use beach” 18/9/18) was illustrated earlier this year when it became clear that shire officers were warning dog owners off at beach at Mt Martha North which was actually part of the leash-free Hawker Beach. The rangers needlessly visited the 70 metre long stretch of sand more than 40 times over the 2017/18 summer. Leash-free signs have been reinstalled at the beach. Mr Cook’s October report to council said dogs were required to be on a leash in public places, except for 63 areas where “this requirement is varied, to prohibit dogs completely or to allow them to be off-leash”. He said council officers would review and audit off-leash and prohibited areas for dogs “including engaging with the public … to address the current issues to control dogs in public places”.